On June 3, IBF lightweight champion Rances Barthelemy will defend his title against the man who used to hold that very same belt, former titlist Mickey Bey. Barthelemy vs. Bey takes place on Fox Sports, as part of a Premier Boxing Champions card from the Seminole Hard Rock Hotel & Casino in Hollywood, Fl. Barthelemy (24-0, 13 KO’s), a two-division champion, won the vacant belt from Russia’s Denis Shafikov this past December via unanimous decision. Bey (22-1-1, 10 KO’s) saw his title stripped after not defending the belt vs. Shafikov this past July, and he has been eager to reclaim his bauble ever since. 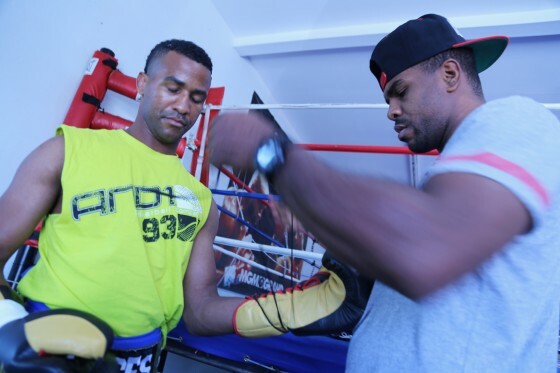 Both men are training for the matchup in Las Vegas, as Bey frequents the Mayweather Boxing Club while Barthelemy is under the guidance of Cuba’s Ismael Salas inside of the Bones Adams Boxing Gym just up the street. Take a look below for early training highlights from Barthelemy and his team. And stay tuned for camp coverage from Team Bey this coming week.